Address: 678100 Republic Sakha (Yakutia), Olekminsk, Logovaya st., 31. 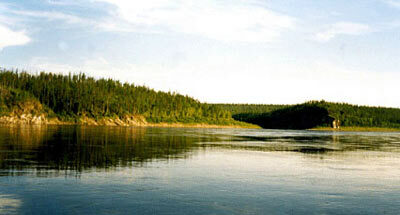 Zapovednik Olekminsky, in southern Sakha Republic, was established 1984. Its area is 847,1 thousand ha. It is located in western Aldan Upland on the right shore of the Olekma River in the basin of its tributaries Bederdyakh, Ulakhan-Dzhikinida, Kuchuy-Dzhikimda, Kudulakh. The area comprises middle mountains, rising 500-700 m above the sea level and spurs of Amginsky Range with the highest elevation of 1166 m above the sea level. The vegetation is that of middle taiga, dominated by larch forests (53% of the woodland), there are also pine forests (25%) and Siberian pine forests (14.5%). With altitude, light coniferous forests are replaced by Siberian-pine forests with fir and spruce, sub-golets open woodlands, elfin Siberian-pine thickets. Mountain tops are occupied by rocky moss and lichen. Woodland covers 744 thousand ha. A combination of Yakutian and Trans-Baikal floras is characteristic, 650 vascular plant species are recorded, 67 of which being endemic or rare, including Rhododendron adamsii and Rhododendron redowskianum, Anemonastrum calvum, Dryas viscosa, Campanula aldanensis, Calypso bulbosa, Rosa jacutica, Corydalis paeonifolia, etc. There are 40 mammal species, 2 reptiles, 2 amphibians, 180 bird’ species and 18 fish species. Typical taiga animals range through the Zapovednik, including the moose, musk deer, wild reindeer, sable, Siberian weasel, Siberian capercaillie. 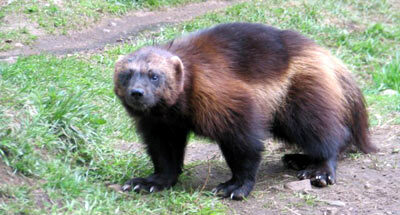 The lynx, wolverine, and otter are relatively rare. The Zapovednik is the northern edge of the distribution range of the Manchurian wapiti. Rare and endangered birds are: the Siberian crane, hooded crane, osprey, white-tailed eagle, peregrine Falcon. Prehistoric man camps and petroglyphs are found.